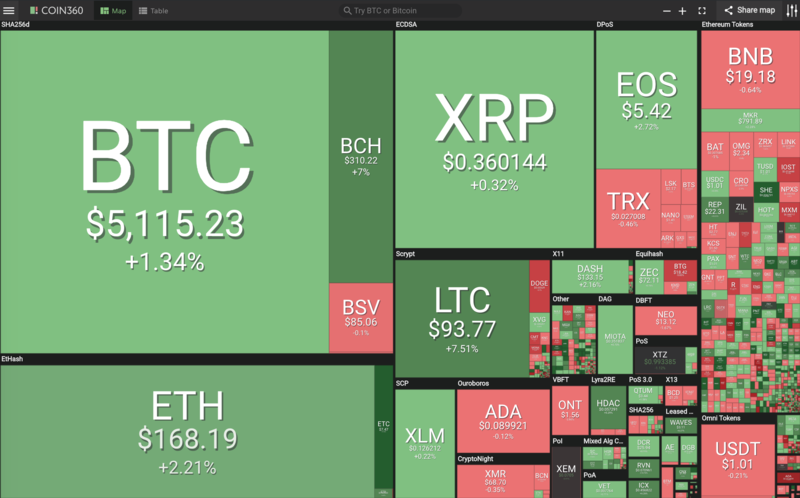 Bitcoin (BTC) is trading at 5115 about 100 USD higher than yesterday—just hovering above the 5k psychological level. 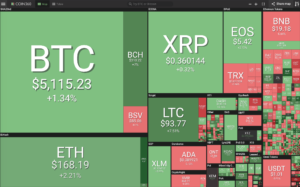 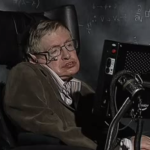 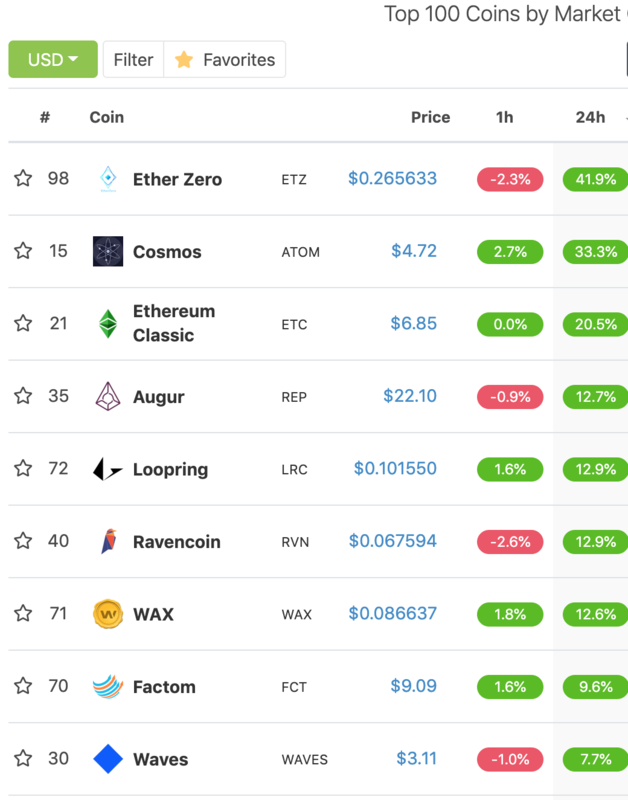 coingecko.com has 7 coins gaining double digit percentages in the top 100 market cap in the last 24 hours: Ether Zero (ETZ) 41%, Cosmos (ATOM) 33%, Ethereum Classic (ETC) 20%, Augur (REP) 12%, Loopring (LRC) 12%, Ravencoin (RVN) 12% and WAX 12%. 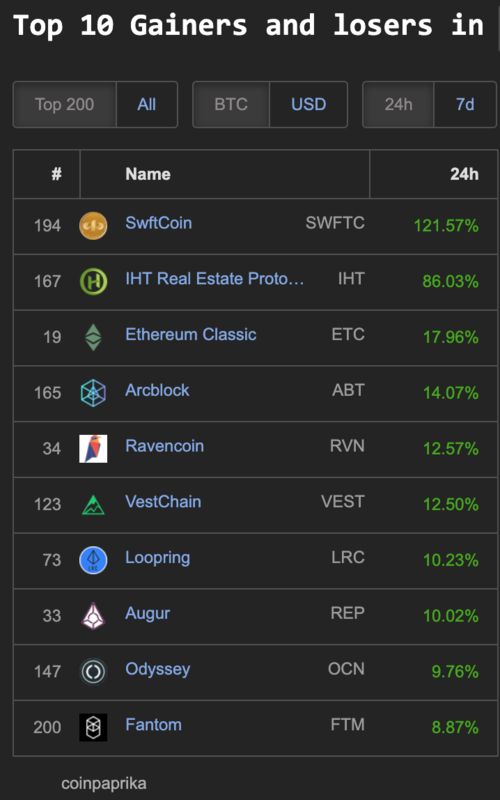 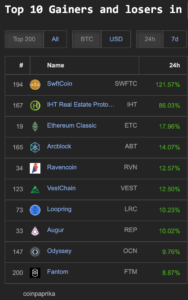 SwftCoin (SWFTC) 121%, IHT Real Estate Proto (IHT) 86%, Ethereum Classic (ETC) 17%, Arcblock (ABT) 14%, Ravencoin (RVN) 12%, VestChain (VEST) 12%, Loopring (LRC) 10% and Augur (REP) 10%. 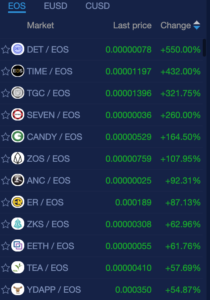 Three percentage digit gaining coins on the EOS platform today were: DET (550%), TIME (432%), TGC (321%) and SEVEN (260%), CANDY (164%), ZOS (107%) at NewDex.io. 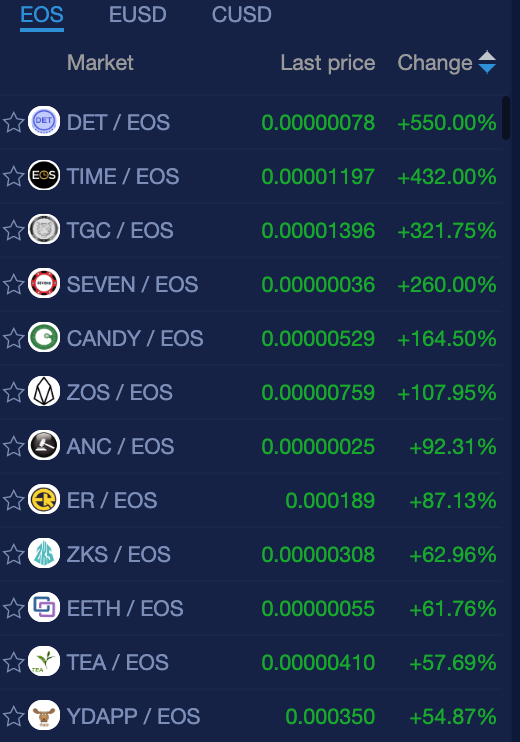 There are also 23 other EOS coins gaining double digits—some of those non gambling coins/tokens include: ANC (92%), ZKS (62%), EETH (61%), TEA (57%), YDAPP (54%), LITE (43%), SEEK (26%) EDNA (15%), PEOS (15%), NDX (13%), MPT (12%) and CET (10%). 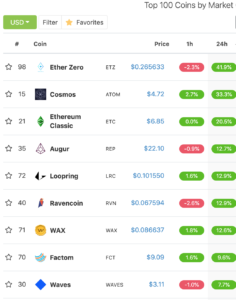 Observation: EOS tokens continue to lead the cryptocurrency market by a large margin with not even a mention by established cryptocurrency news websites & YouTubers.